If It's Hip, It's Here (Archives): Over The Shoulder Boulder Holders Get Their Own Travel Case. The CupCase. Over The Shoulder Boulder Holders Get Their Own Travel Case. The CupCase. 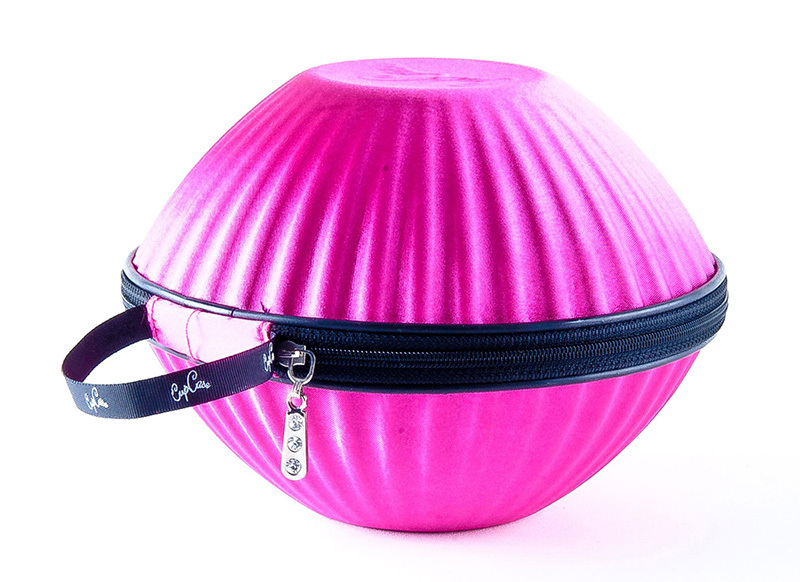 CupCases are a pretty nifty invention for those women who want to keep their bras in a place where they won't get smushed, torn or misshapen when traveling short (like the gym) or long (like across the ocean) distances. With the price of brassieres these days, and how hard it is to find one you love, it's nice to have something to keep them from getting squished in one's suitcase or travel bag (or God forbid, the bottom of your purse). 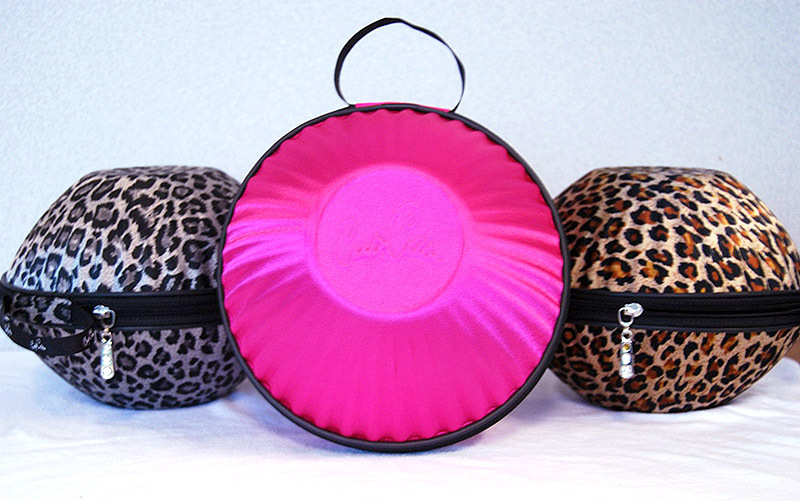 A CupCase is not only a storage case for your bras; it can also hold jewelry, hair-ties & other small accessories while you travel!